It's here and it's available to all slot car shops through Eagle Distributing. This oil was developed by two racers from this shop a number of years ago, known then as "liquid bearings". 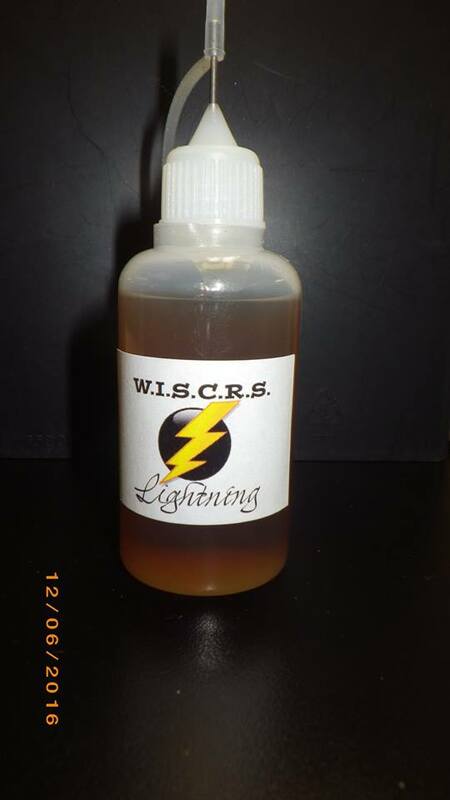 It is now being re-introduced as WISCRS Lightning. This is the oil that was used to win the 24 Hours of Chicago, and a number of USSCA class championships. This all synthetic blend is usable on ALL bearings and bushings. Will out last the competitors in any kind of friction or load test. It's the GOOD stuff.